Chris Seydou (1949-1994) was a pioneer in promoting African fashion designers on the international stage. He created clothing that drew on his roots in Mali, West Africa, yet his designs evaded neat categorization as African. Seydou was well known for his adaptation of African textiles, including Mali's bogolan fabric, to haute couture. Seydou's bell-bottom pants, motorcycle jackets, and tight miniskirts made of distinctively African fabrics caused a stir in Mali and drew attention to his work abroad. Seydou's designs have been published in numerous French, German, Ivoirian, and Senegalese as well as Malian fashion magazines. He showed his designs in Europe as well as Africa, and worked with internationally renowned designers, most notably Paco Rabanne. Chris Seydou was born Seydou Nourou Doumbia on 18 May 1949 in Kati, a small town centered around a military base forty kilometers north of Bamako, the capital of Mali. Because Seydou's mother worked as an embroiderer, he was familiar with the tools of the clothing trade from an early age. His mother had copies of European fashion magazines that greatly impressed Seydou; he was fascinated by the photographs of elegant women in beautiful clothes (Seydou 1993). He left school to pursue his interest in fashion at fifteen. 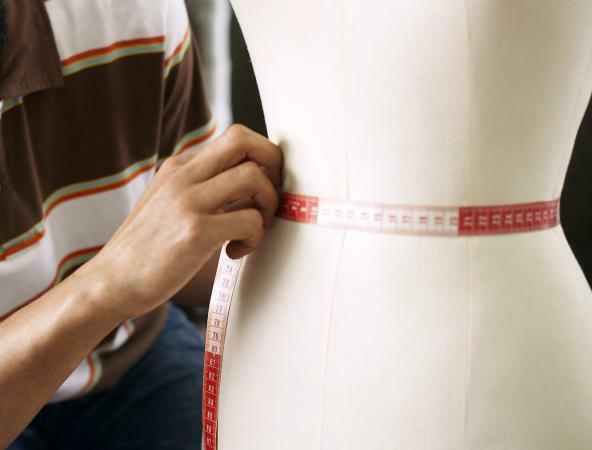 In 1965, his family apprenticed him to a local tailor. In 1968 Seydou relocated to Ouagadougou in Burkina Faso (then called Upper Volta), and the following year he moved to the cosmopolitan city of Abidjan in Côte d'Ivoire. He changed his name when he embarked on his professional career, adopting the name "Chris" as a tribute to Christian Dior, whose work had been a great influence on his early development. He kept the name "Seydou" in order to preserve part of the name his family had given him, thus creating a professional name combining the European and African influences that are apparent in his work ("Interview: Chris Seydou," p. 10). Abidjan was in the forefront of African fashion design in 1969, and Seydou found great success in the city, designing clothing for many of Abidjan's wealthy and influential women. Seydou then spent seven years in Paris beginning in 1972, where he studied European couture. He met other African artists and designers in Paris, with whom he organized the Fédération Africaine de Prêt à Porter (African Federation of Ready-to-Wear Designers), an association that seeks to promote African designers on the international market. Seydou was also one of the three founders of the Fédération Internationale de la Mode Africaine (International Federation of African Fashion), which continues to provide an important forum for African designers. Seydou found that his work appealed to African women who sought clothes made in "la mode occidentale" (Western style), and that European women appreciated his "exoticism" (Seydou; and "Chris Seydou: Le roman d'une vie," p. 34). As Seydou explained, these women did not buy his work because he was African, but because he "brought an African sensibility" to his designs (Seydou 1993). Seydou returned to his country of birth in 1990. He came to Bamako in search of "the authors, the origins" of "the real African traditions" (Seydou 1993). He was particularly interested in bogolan or bogolanfini, a cotton textile traditionally made for ritual functions in rural Mali, and known as mudcloth in North American markets. Seydou had begun to use the cloth while he was working in Paris in 1975-1976. He described his return to Paris in 1973 or 1974 after a visit home and finding in his suitcase several pieces of bogolan he had received as gifts. He was already familiar with the material from his childhood in Kati, but there he had associated it with hunters and local ritual practices rather than with his own interest in fashion. In unfamiliar Paris the familiar cloth was transformed into a souvenir-a reminder of the place and the people of home (Seydou 1993). 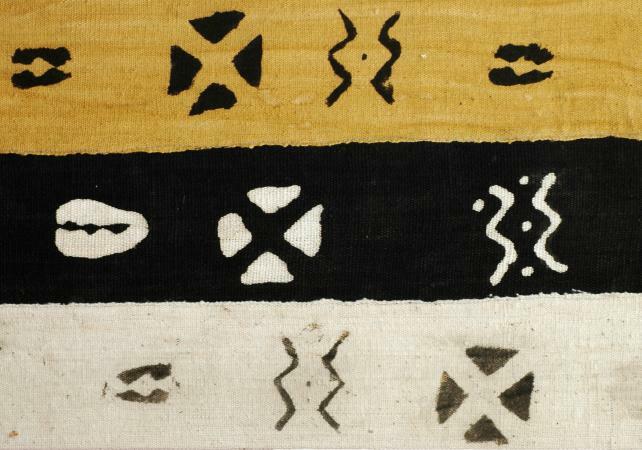 Seydou's work with bogolan and other indigenous textiles illustrates the balance between local tradition and global markets that characterizes the work of many non-Western designers. Seydou focused on making Malian fabrics relevant to contemporary fashion rather than preserving local traditions. Yet the cultural significance of the textiles shaped his methods, as illustrated by his work with bogolan. Seydou edited, modified, or discarded some aspects of the fabric while preserving others. "I am a contemporary designer who knows what I can do technically and how to do it. Bogolan can simply be a cultural base for my work" (Seydou 1993). One of Seydou's primary modifications of bogolan concerned the density of its designs, for the fabric customarily incorporates a variety of distinct motifs. Cutting and assembling a garment from this cloth was extremely difficult for Seydou, for no two portions of a given piece of cloth are identical. Seydou adapted by commissioning his own versions of bogolan, isolating a single pattern in a process he referred to as "decoding" the cloth. Seydou also expressed reluctance to cut and tailor material that was adorned with symbolic motifs, out of respect for the cloth's ritual significance in the context of rural Mali: "For me it was symbolic. For me, I didn't want to cut bogolan early on; it was difficult to put my scissors to it." (Seydou 1993). Among Seydou's most popular and influential bogolan-related projects was his 1990 collaboration with the Industrie Textile du Mali, a textile manufacturing company in Bamako, for which he designed a fabric inspired by bogolan that was printed and sold in 1990-1991. Seydou's death in 1994, at the age of 45, reverberated powerfully in the worlds of fashion, art, and popular culture throughout west Africa and beyond. He is considered by many to be the father of African fashion design. Journalists in Africa and Europe recognized Seydou's role as an ambassador between African and Western fashion worlds. "He flouted every convention, showing bogolan made into mini-skirts or bustiers, as large berets or full-fitting coats and even as a fitted suit worn by the President's wife Adame Ba Konaré for the opening of a film festival in Marseilles in 1993. (Duponchel, p. 36) À travers ses créations, le Mali s'est fait mieux connaître dans ses valeurs culturelles à travers le monde, jusqu'en Amérique où les Noirs américains font aujourd'hui du bogolan une source d'identification culturelle. (Through his creations, Mali became better known throughout the world for its cultural treasures, all the way to America where black Americans today make bogolan into a source of cultural identity) (Diakité, p. 4). Chris Seydou en fut le premier artisan, faisant naître une generation de stylists de premier niveau, tous visionnaires d'une Afrique renaissante… (Chris Seydou was the first…, breeding a generation of first class designers, visionaries of a born again Africa) (Pivin, p. 7-8 Trans Gail de Courcy-Ireland). It all began with the unforgettable, incomparable Chris Seydou. More than anyone, he helped to give African men and women a new way of thinking, of looking at things, and inspired numerous designers and models to aim even higher. (Traoré, p. 8). " See also Afrocentric Fashion; Bogolan; Christian Dior; Ethnic Style in Fashion; Paco Rabanne; African Textiles. "Chris Seydou: Le roman d'une vie…." Africa International 271 (July-August 1994): 31-37. Diakité, K. B. "Chris Seydou." L'Essor 12673 (8 March 1994): 4. Domingo, Macy. "Ivory Scissors-Ciseaux d'Ivoire." Revue noire 2 (September 1991): 6-7. Duponchel, Pauline. "Bogolan: From Symbolic Material to National Emblem." In The Art of African Textiles: Technology, Tradition and Lurex. Edited by John Picton. London: Barbican Art Gallery and Lund Humphries, 1995. "Interview: Chris Seydou." Grin-Grin: Magazine mensuel des jeunes 9 (April-June 1989): 10. Pivin, Jean-Loup. "Renaissance d'un style africain" (Rebirth of an African Style). Translated by Gail de Courcy-Ireland. Revue noire 27 (December 1997-January 1998): 7-8. Rovine, Victoria. Bogolan: Shaping Culture through Cloth in Contemporary Mali. Washington, D. C.: Smithsonian Institution Press, 2001. Chris Seydou. Interview by author. Bamako, Mali. 6 March 1993. Traoré, Aminata Dramane. "African Fashion: A Message." In The Art of African Fashion. Edited by Els van der Plas and Marlous Willemsen. The Hague, Netherlands: Prince Claus Fund; Asmara, Eritrea, and Trenton, N.J.: Africa World Press, 1998.